Koryo Tours is sad to announce that the Arirang Mass Games are about to come to an end. The final performance is expected to be on 27th or 29th September 2012. We are informed by our colleagues in Pyongyang that the event is now finished and will not be extended. The Arirang Mass Games started in 2002 and became an annual event in 2007, every year since then it has been extended and has run into October which we, and our partners in the DPRK, expected to happen again this year. However it was not to be. Sorry for anyone who didn’t make it to the performance. Next year, 2013, marks the 60th anniversary of the end of the Korean War. This is seen in North Korea as a historic victory and we would expect it to be marked as such so there is a possibility that a new form of Mass Games will be staged to mark this event. This far we have no more news about this but as always we will keep everyone on our mailing list informed and up to date as soon as there is any information to be told. Koryo Tours as always will get you the best access to whatever special events are going on in North Korea when you make your trip and we look forward to seeing what they can come up with the replace the Arirang event. While this particular event seems to have run its course we do expect the Mass Games form to carry on and await whatever version comes next, watch this space! If Kim Jong Il’s opinions mean anything, the power of film cannot be ignored. The late dictator spent quite a bit of energy trying to vitalize the North Korean film industry – to the point that he kidnapped a South Korean director Shin Sang Ok and his actress wife Choe Un Hee to provide an injection of fresh air into what he thought was a stagnant film scene. This emphasis on film seems to have left a mark on the North Korean people as well. One of the fondest pre-famine memories of those who have escaped the DPRK often revolve around going to the local cinema house to view the latest and greatest coming out of Pyongyang’s movie mill. The production costs in China, where wages are rising fast, are increasing and companies are searching for cheaper locations. This is already visible in the field of garments and textiles. For this reason, MODINT, the Dutch trade association for fashion, interior design, carpets and textiles, will organize again a seminar on sourcing and production countries (19 April, from 13.00-17.00 hours). 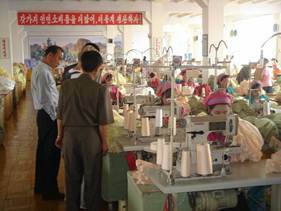 In this edition, MODINT will focus on alternative production countries, including North-Korea, Myanmar, Bangladesh and Pakistan. Several speakers will share their thoughts on how realistic these countries are as alternatives to China. The US-based Committee for Human Rights in North Korea (HRNK) has announced that a one-day conference will be held in Washington, DC, on Tuesday, 10 April 2012, entitled “Hidden Gulag: Exposing North Korea’s Political Prisoner Camp System & Calling for Its Complete, Verifiable, and Irreversible Dismantlement”. The conference is organized together with the Jacob Blaustein Institute for the Advancement of Human Rights, and will be hosted by the Peterson Institute for International Economics at the C. Fred Bergsten Conference Center (1750 Massachusetts Avenue, NW, Washington, DC 20036). In a new deal with the United States, North Korea has agreed to suspend its nuclear activities in exchange for food aid. But Canadian analysts warn against reading too much into the new agreement. 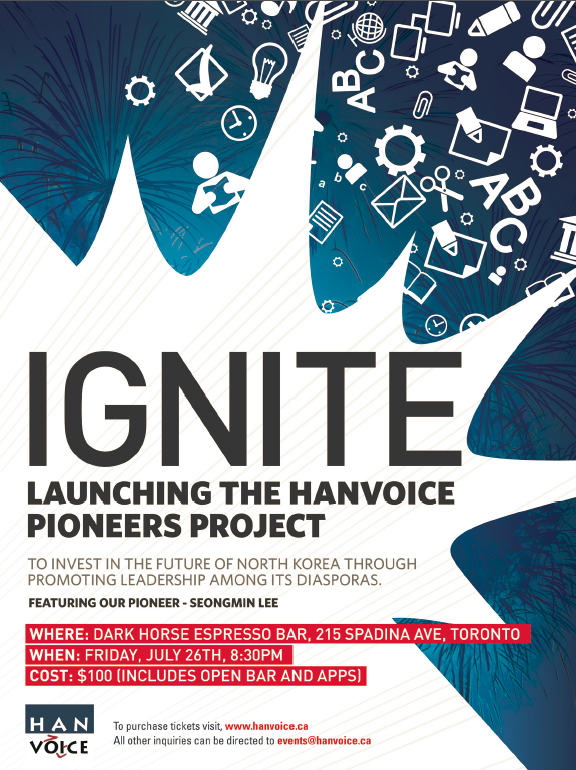 The Link’s Lynn Desjardins tells us what might or might not work to change the situation in North Korea.